SAP Customers may wish to utilize certain SAP S/4HANA innovations without disturbing their current system and without converting their entire systems to SAP S/4HANA. 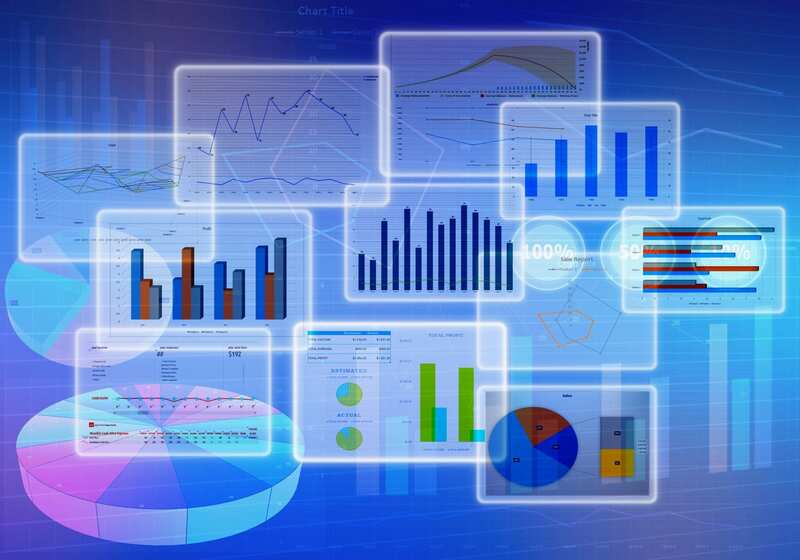 The Central Finance deployment option is useful for customers with a largely distributed system landscape to replicate accounting data from different systems into a single system, allowing them to get consolidated financial reports, Group Reports, embedded planning, Centralized business processes etc. It helps in simplifying Finance processes and lowering the operational cost by centralizing processes and reporting. The Central Finance deployment option helps in avoiding extraction, transformation, data reconciliations etc. This option also enhances transparency and productivity with enhanced process executions. It helps in decision making as data is up to date and real time. Customers will have instant insight on any data at any time. A single source of truth helps to avoid reconciliation. Real time Analytics also helps management in their decision making process. SAP S/4HANA CFIN (Central Finance) is an SAP S/4HANA Finance System installed as a side-car that receives Financial Accounting documents (except the line items that post to Fixed assets) in real time from SAP or Non-SAP systems. It is a Non-disruptive deployment option to get capabilities of SAP S/4HANA Finance. CFIN system is SAP S/4HANA Finance or an SAP S/4HANA System on which selected Accounting and Planning processes can be operated. Most large companies look for a simple and complete view of Financial Reports across the organizational unit. This is one of the top challenges. It involves pulling Financial data from different source systems (Extraction) and Replicating to a system from which we can take complete Financial statements. SAP introduced SAP Central Finance to solve this. The SAP CFIN system pulls the Accounting data from different systems and replicates it in a Universal Journal Entry table of the SAP S/4HANA system. Central Finance is a separate product and needs a license. It is part of SAP S/4HANA and no additional installation is needed. CFIN consultants do some additional coding to transfer the data from source system to target system (CFIN system). With CFIN, Customers can transition to SAP S/4HANA Finance without disrupting current systems to have a common reporting structure. This will allow business to get the benefits of SAP S/4HANA Finance Functionalities, Consolidation, automation etc… as source systems replicates Accounting documents to Central Finance system. The most important pre-requisite for a successful central finance system is data harmonization across source and target system. Before you start a Central Finance Project please refer to the Administration Guide for Postings excluded from transfer. Some postings will not be transferred as a part of initial load and replication. Before you start the installation, please refer latest SAP notes as they will be updated regularly. Please don’t follow old SAP notes downloaded some time ago. Install the latest support packages and apply the latest SAP notes and associated SAP notes with FI-CF component. 2. SAP SLT – (This reads and replicates FICO documents. – It is the Glue that holds different systems together. It collects postings from different systems and directs to CFIN system. SLT is to move and synchronize data in real time). SAP Recommends reading SAP Notes 2148893 and other associated and relevant notes before you start the Central Finance project to ensure to identify activities that are to be done in source system and target system and make sure that you have implemented all the SAP notes relevant to your scope of the project. Refer to SAP note 2323494 to get an overview of SAP notes relevant for source system. It is a collective SAP note for the source system. SAP Note 2323494 contains a list of corrections relevant for the source systems. Refer to SAP Note 2148893 for further information. This SAP Note has list of SAP notes that need to be implemented either in the source systems or in the Central Finance system. SAP Also recommends upgrading the system to the latest support pack stack. This minimizes risk of encountering problems. If your source system is third party system (NON-SAP), Refer to SAP note 2610660. The earlier SAP Note was 2300443. The latest SAP note is : 2610660 – SAP LT Replication Server for Central Finance – Third-Party System Integration 1709, FPS2 . We use the SAP LT Replication Server to load and replicate data from a third-party system to a CFIN System. We must install the relevant SAP notes according to the SP level of SLT server. To load and replicate data from Non-SAP system to a CFIN system, SAP provides preconfigured content that loads the data from a simplified staging area. You use the staging area to connect different legacy systems that have different data models than a Central Finance system. This Extracting & Replication is depending on the data structure of the Non-SAP system. Due to legal restrictions, SAP cannot provide preconfigured content to extract the data, so this step must be done manually during the project. Refer SAP note 2610660 for complete information. This note contains all the information that is needed to Install Replication Content, to create the tables for the staging area, set up the load and replication process from the staging area and other associate SAP notes on this. 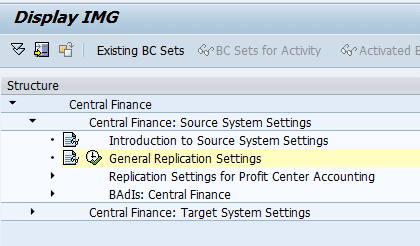 Integration of other than SAP ERP is currently only possible through the interface staging table in SLT. SAP note 2610660 contains the information below:. Customers can replicate Accounting documents (Journal Entries) from Non-SAP system to CFIN system. 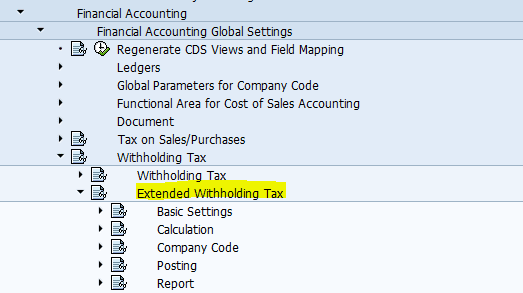 If withholding tax information is needed, we need to do necessary configuration for Extended Withholding Taxes. After data replication AIF is triggered to control data processing to the target system. You can also display documents and error messages if any (i.e. if documents failed to post to CFIN system). So, you can correct errors and restart the postings for failed documents. To see FI documents, you can use reports like FINS_CFIN_DFV_FI_NUM, FINS_CFIN_DFV_FI_Doc etc. It is possible to transfer and post reversal documents from a Non-SAP system to CFIN system. The third-party interface uses the Function BAPI_ACC_DOCUMENT_REV_POST to ensure references are filled correctly. To post Financial Accounting documents with more than 999-line items from Non-SAP system to CFIN system, Accounting documents are to be split in to several documents. To be able to split for the replication of accounting documents with more than 999-line items, refer to SAP notes: 1353125, 1497092, 1670486, 2078335. To verify / display documents replicated from source system, you can use transaction code FB03 in CFIN system. Case 1: Customers can use SAP ECC.6.00 (or higher) system as a source system. It should be under maintenance with SAP. Refer to SAP note 2323494 – Overview of notes relevant for source system. This note provides an overview of notes that need to be applied to the source systems. Case 2: Versions older than ECC. 6.00 may also be used as a source system. Technically speaking, any ERP system can be defined as a source system. ECC 6.0 systems will be supported out of the box. Lesser than ECC 6.0 systems need some additional efforts, such as installing the central finance integration component via SAP notes or upgrading to the latest service pack (SP). For the lower SAP releases SAP offers coding versions via consulting notes – see note 2279674, to reduce the manual effort required, however, workarounds are necessary. If you need any support with this scenario, contact SAP Product Management by logging an OSS message with component FI-CF. 1. Refer to Administration Guide / User Assistance Document for Central Finance (1809) from SAP note 2184567 and apply all relevant SAP notes on the source system. 2. 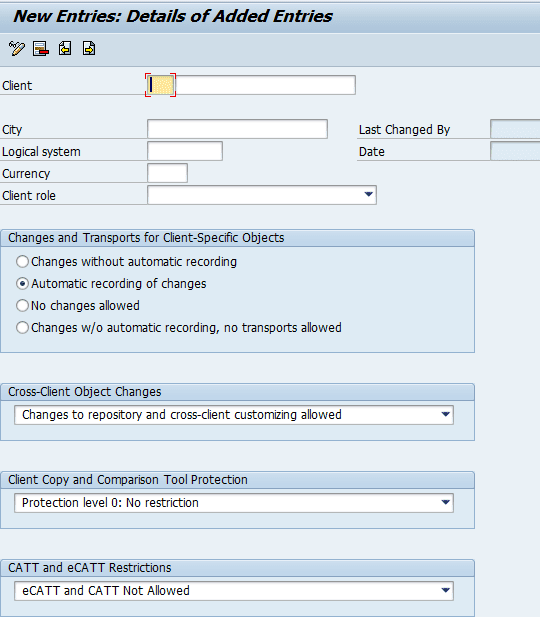 Assign authorizations for SLT user. 1.Refer to Administration Guide / User Assistance Document for Central Finance (1809) from SAP note 2184567 and apply all relevant SAP notes on the source system. SAP note 2184567 has User Assistance Document “inform of a link” (formerly known as Administrator’s Guide) for Central Finance. It contains additional information about setup and configuration. 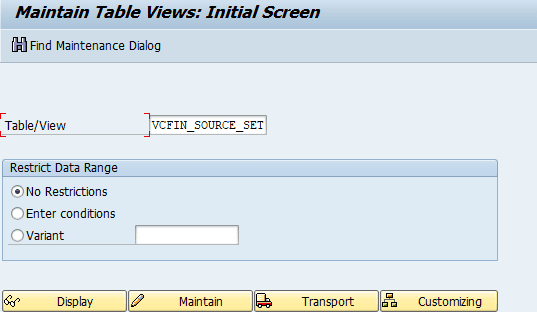 2323494 has SAP notes that are relevant to source system. If your source system has a third party database with a run time database license, SLT integration scenario is to be used. Refer to SAP notes 2223621 and 2223801. 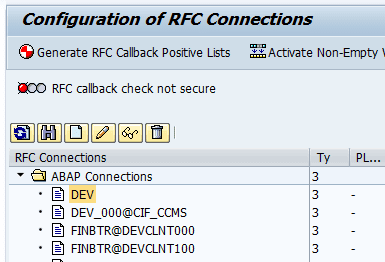 A manual extension of RFC authorizations in the role SAP_IUUC_REPL_REMOTE is to be given in your source and target systems. SLT replication server is used for replication of data to Central Finance. Refer to SAP Notes 2154420 – SAP LT Replication Server for SAP Central Finance. As per SAP Note 2154420, When using S/4HANA 1809 as the source or target system in combination with an SAP NetWeaver + DMIS add-on based SLT system, it is required to upgrade the SAP NetWeaver version of the SLT system to 7.50 or higher. The reason is the usage of data type INT8 in the tables relevant for the scenario and the fact that this data type needs to be available in the SLT system in order for SLT to be able to transfer the respective tables. • The same restriction applies in case the source system of the replication is S/4HANA Cloud Edition or higher. Example: you want to transfer balances from 2015 till 2018 October (Period 10). You want to transfer Documents from beginning of 2015. In the “Start – Balances” field, fill fiscal year from which you want the system to start transfer balances. ( system always takes the balances from beginning period if you give a year ) in the above example, system starts balances from first period of fiscal year 2015. In the “Start – Documents” field, Fill the year from which you want the system to start transfer line items and in the “Period – Documents” field, fill the first period of that year ( from which you want the system to start transferring documents). In the above example, the system starts transferring documents from first period of 2015. • In the “Start – Balances” field, fill the year from which you want the system to start transferring balances. • In the “Start – Documents” field, fill the year from which you want to start transferring documents. Select the GL Reconciliation Postings Transferred checkbox. Select the Initial Load Finished checkbox. 1. Needs to define logical system for source system and central Finance system. This activity will be done by a Basis consultant. 2. Maintain RFC. This activity will also be done by a Basis Consultant. 3. Preparation for the initial load. This activity will be done by Functional and Technical Consultants. 14. Create all documentation necessary for the record. Initial load and delta replication will be done with a LT replication server. The SAP LT replication server is the main enabler to send the data to the CFIN system. This server collects data from different source systems and posts data to the CFIN system. 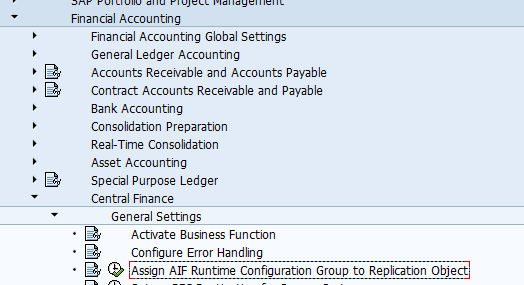 It holds different systems together in the Central Finance deployment option. The initial load of cost objects and CO internal Documents uses SLT. The delta replication of all three objects uses SLT. To understand different SLT integration scenarios with Central Finance and prerequisites for SLT system I will provide a very basic overview. SLT loads data from different source systems to the SAP CFIN system in real time. Table based replication and application-based replications are supported. CFIN uses application-based replication. To pass the data from the source system to CFIN system replication server uses a trigger-based replication approach. SAP LT replication server version must be verified before you start integration/configuration. If you are running a lower version, you will not be able to derive all the functionalities of SAP LT replication server. When replicating data to Central Finance SLT uses predefined migration objects. Currently, CFIN_ACCHD, AUFK, COBK are the predefined objects. The initial load of FI data is managed via Customizing activities in the Central Finance system. For all other objects the SAP LT Replication Server is used for the initial load of data. For more information about SLT, see SAP Note 1605140. We can integrate the additional source system to SLT without impacting existing source systems and CFIN systems. Here, in this example, SLT is deployed on the source system. So it has direct access to any data and help to better performance. No network is required. SLT has direct access to any data in the CFIN system. It gives better performance on the replication. All above three options will have advantages and disadvantages. An experienced SAP CFIN consultant can give advantages and disadvantages during the real time project. Based on advice from an expert, decisions can be made. 3. SAP Master Data Governance (MDG System): ( Optional System). SAP MDG provides Master data governance to create & Change master data centrally. In CFIN projects it can be deployed either as a Hub or embeded with CFIN system. If MDG is deployed as a Hub, then MDG is a separate system. SAP application Interface Framework ( AIF) is a framework as an interface and error monitoring. CFIN uses AIF to define Cost object Replication Interface, FICO replication Interface and CO Internal Posting replication interface. It is a single place users can see the errors and it provides quick overview about errors. It also provides role based overview. It also has calendar based overview. Here, I would like to provide basic configuration settings needed for CFIN system. The business function central finance (FINS_CFIN) must be activated. (Refer to SAP notes – It needs License). Activate it in the switch framework transaction SFW5 or SPRO. In this Configuration step, define Application Interface Framework runtime configuration groups that you will be using to process data replicated to the Central Finance. A runtime configuration group in Application Interface Framework defines how Application Interface Framework messages relating to replication objects are processed. If no runtime configuration groups are defined in this screen, the data is processed using the default configuration, in which a separate background job is run for each Application Interface Framework message. 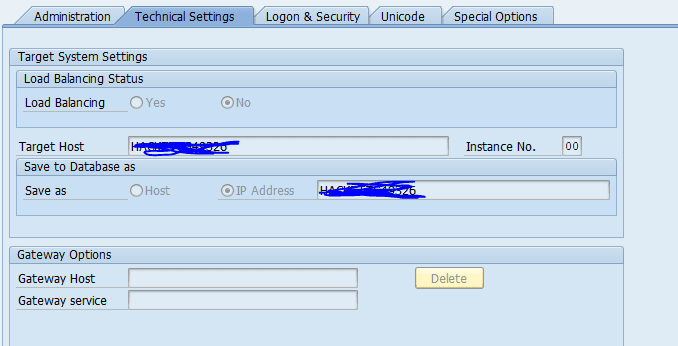 In this configuration setup, define technical parameters for RFC destinations. These parameters are used for remote function calls (RFC) to other systems. 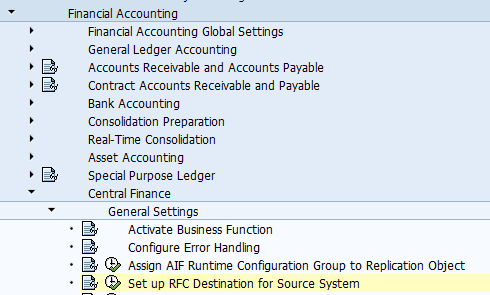 RFC connection is required for reading data from the connected source systems to the Target system and to navigate to accounting documents in the source systems. In this configuration screen, define one logical system for each connected source system client and one logical system for the target CFIN client. Check the logical system assignment for the central finance system client. This cannot be transported. When a new system is set up, these settings must be made after the system installation has been completed. Define the number of decimal places for currencies of the source system, if they are defined differently than in the Target System. The above are a few basic settings that are needed in the central Finance landscape. A Central Finance Project Architect must consider various aspects of the different systems involved in a CFIN project to determine integration aspects and identify tasks involved in each system. They have to plan for data extraction, harmonization synchronization among the systems. If a CFIN system gets data from non-SAP Systems, the CFIN architect has to plan for data extraction. This needs complete knowledge of the third-party system to write scripts required to extract the data and transform the data. The data extracted and transformed must be validated before replication to CFIN system. This enhances data quality in the CFIN system. It would be ideal to do an exercise in the form of POC to demonstrate the functionality and to verify concepts that can be achieved through a Central Finance Project. Prototyping is also needed that allows the team to visualize “how the product will function”. Proof of Concept helps if the Central Finance functionalities can be implemented, whereas a prototype will show how it will be implemented. A prototype is an attempt to create a working model and to identify errors. It should have almost all the functionalities of product so a complete picture can be seen before you start the real time central Finance project. SAP recommends Proof of Concept as it is an opportunity to share Central Finance knowledge amongst the team members and explore more given that it is new Product, and also to provide evidence of concept to the company, that implementing the Central Finance is feasible. This entire exercise provides an overview of the Central Finance project. This will also provide clients with a decent understanding of Central Finance and how it will be helpful to resolve problems such as Group reporting etc. It will also allow management to take strategic decisions on Central Finance. Company Code – Your company code. Start – Balances – Leave this empty. Documents Period – Enter 12. As initial load is a pre-requisite, you can perform an empty load during POC. Once POC is done, before the project goes live, logs related to initial load have to be deleted using the below report. Through Proof of concept, consultants will demonstrate its feasibility and verify the Central Finance concept to establish whether the Central Finance deployment option satisfies all desired aspects of the purpose it was intended for. Once the customer is satisfied, a prototype can be planned. Dr. Ravi Surya Subrahmanyam is Doctorate in Finance. He has been working as a Director- SAP Practice for The Hackett Group India Ltd. He is Certified Application Professional – Financials in SAP S/4HANA 1709 and Certified Associate for SAP S/4 HANA Solution Architect. He is a visiting Instructor for SAP Education for SAP S/4 HANA. He has been an SAP S/4 HANA Conversion / Upgradation Specialist. Need to hire SAP S/4HANA CFIN resources? Looking for SAP S/4HANA CFIN work?